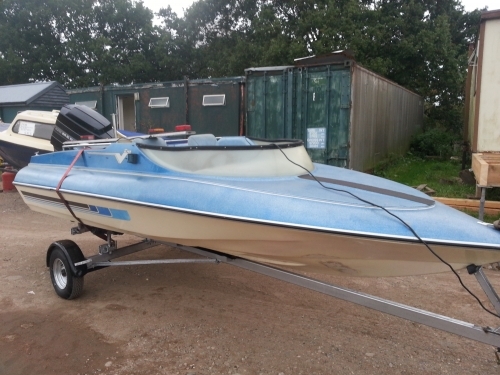 A well proven stable fast boat with great styling and shape, a retro style icon of 70/80s. 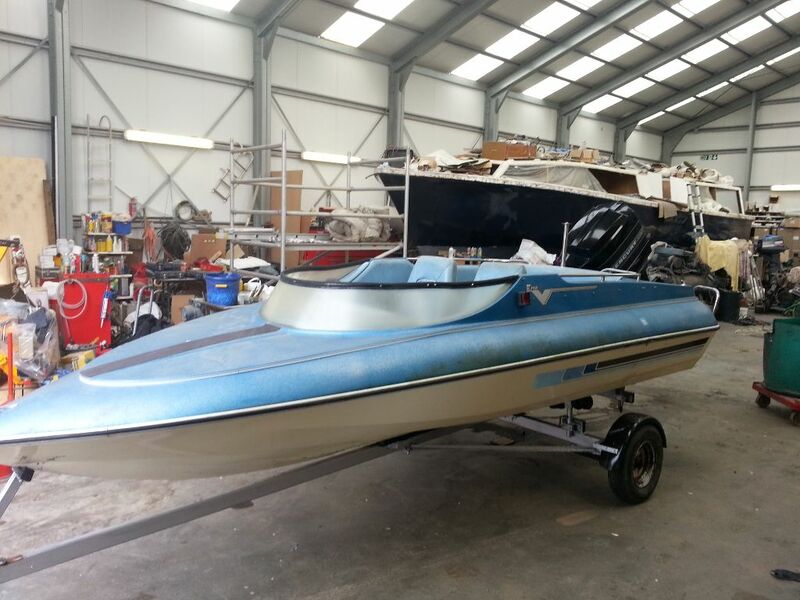 The boat has the usual metal flake paint work and a cream hull. 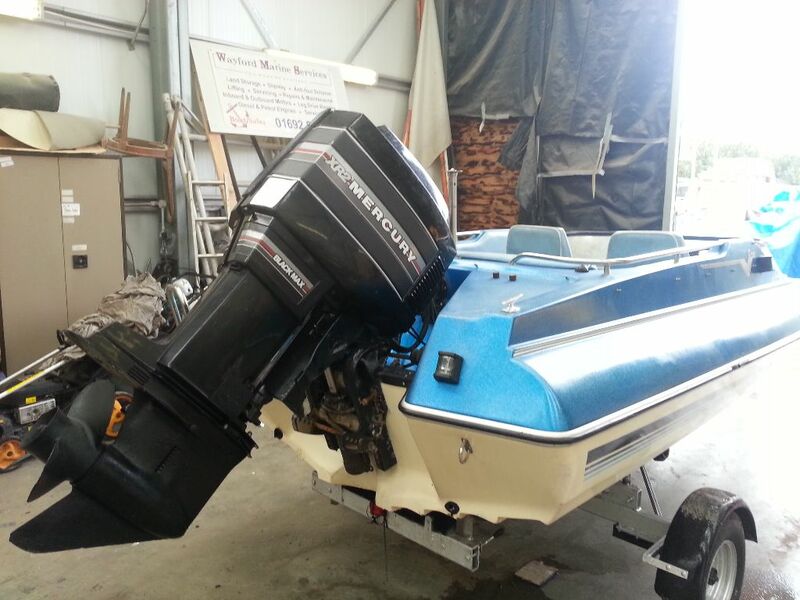 This boat is powered by a v 6 150 hp merc.